14k TT gold,0.12 ct diamonds,initials available A to Z. "Item on sale for $299 which includes 20% discount." 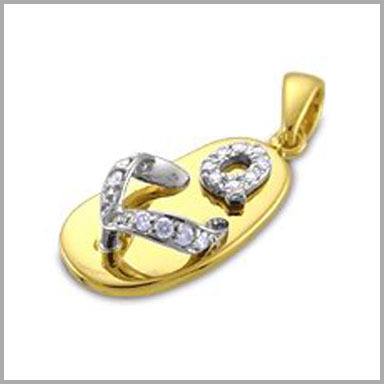 Reminiscent of days spent on a beach, this pendant is crafted in polished 14K y/w gold. It features sixteen full round cut diamonds in prong settings. The total diamond weight is approximately 0.12ct with a color of H and a clarity of I-3. It measures 15/16" x 5/16" and includes an 18" chain.